If you've never been to Switzerland, you've probably tasted few Swiss wines. Since foreign wines are heavily taxed in Switzerland, local wines remain the favourite and the vast majority are consumed by the Swiss in their own country. It's the way it's always been in Switzerland, small production for a limited, receptive market and it's a pity for the rest of us because there are admirable Swiss wines. Ticino, Switzerland's southernmost canton on the border with Italy, has produced wines since the 1500's, but things get interesting after the phylloxera plague from 1870-1900, when the first Merlot vines were planted. It was obvious immediately that Merlot was well suited to the sub-tropical climate of Ticino, but only in the last twenty years have certain producers gained a reputation for excellence, paying close attention to grape selection and the Merlot's expression in each of Ticino's many varied terroirs. One of these producers is the Valsangiacomo family in Mendrisio. I paid them a visit on August 26th and was greeted by Ezio De Bernardi, sales manager for the business. I asked Signore De Bernardi why Swiss wines were so seldom seen outside of Switzerland. Is there really only enough for the Swiss market? "We feel that Switzerland has the capability to export more wine to the EU," said Sig. De Bernardi. "Part of the problem is that much of the wine is consumed here in Switzerland. There is no massive scale production in Ticino, say like there is in Chianti, where 99% of the stuff is mass-produced for supermarkets, and 1% is for connoisseurs. But part of the problem is that négociants do not want to take the risk of marketing the wines outside of Switzerland. This is a pity!" 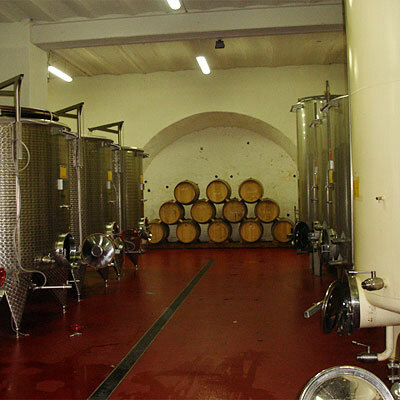 Proceeding into the cellar, I notice that fermentation is fully modern, in computer-controlled, water-cooled stainless steel vats. 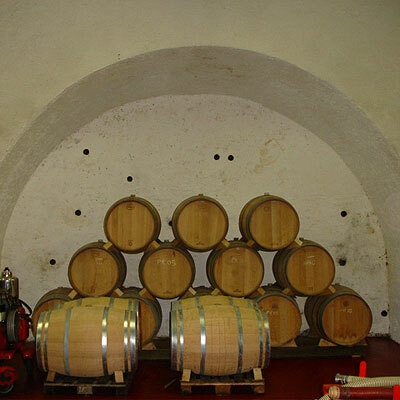 Malolactic fermentation is done in oak casks, the wine is cleared with egg whites or clay and some wines are aged 18 months in new oak vats. One curious and beneficial feature of the hundred-year old cellar is the natural ventilation holes which burrow through the Monte Generoso—this keeps the cellar cool in summer and even warms it in winter, keeping a constant temperature of 11-14° Celsius. We tasted five different wines, starting with a curiosity, a "Bianco di Merlot", a white wine made from Merlot grapes. I was very impressed. The wine was lively and fruity with surprisingly good acidity, certainly not out of place with fish or seafood. However, it was the reds which astonished with their diversity and it is here where we see Valsangiacomo's philosophy of eschewing blending, choosing instead to produce individual wines where each terroir achieves its own Merlot definition. The first wine, Roncobello, comes from old vines on chalky soils at the foot of Monte Generoso, a very fruity Merlot with caramelized tones in the nose and taste. Next was Piccolo Ronco, from terraced vineyards on morainal soils, a very expressive, fleshy wine with a full, robust character and impressive depth. 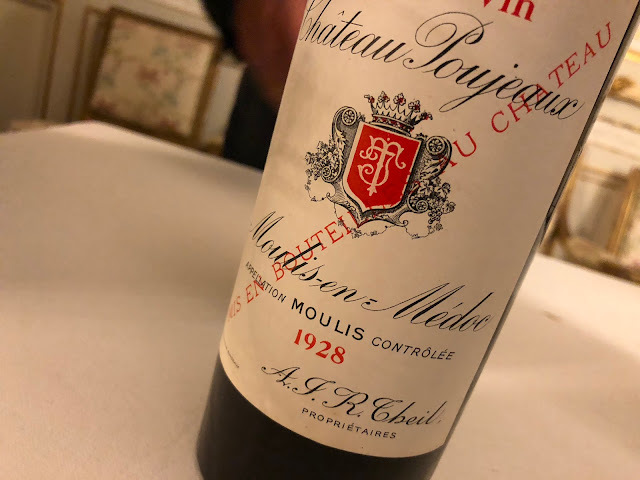 This was followed by Cuvée Speciale, from fossilized soils and aged in large oak casks, a powerful wine with a solid tannic structure and a long after-taste. The Merlot grapes are harvested in mid-September; this year they were one week late and 2008 might be a mediocre year due to excessive rainfall. 2007 was an exceptional year and '05 was very good as well. The best wines can age for 10-13 years, and the exceptional '95 is now at its peak. Though there remain only a few bottles of their top cuvée Rubro 1995, Sig. Valsangiacomo was kind enough to uncork one for us. This lustrous red wine's elegant tannins dissolved directly after mouth contact into full, long-lasting fruit with only a hint of oak. Valsangiacomo can be visited any month of the year except January and February, and can easily be reached by car from Lugano.